We are a family-run company based in the South of Germany. Since 1992 we are on the market with our own agricultural products. 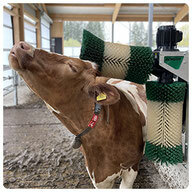 SCHURR cow brushes (2-brush-system) are in use worldwide. MAKE SURE THAT IT'S SCHURR. 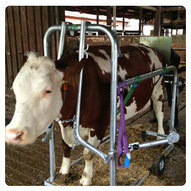 A long experience on the field of animal welfare is our strength. 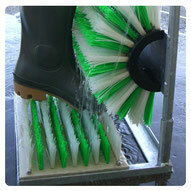 Quality and durability distinguish our cow-brushes for many years and are for us very important product characteristics. Our products are used all over the world and are proven thousands of times. Our customers appreciate our service and support. A reliable supply of spare parts, even after many years, are a matter of course and we can guarantee! Here you will find information, pictures and videos of our products for animal welfare. We will answer your questions you like by email or phone or visit. Contact us! You can find more information about us and our company. Frequently asked questions and service infor-mation, see 'service & faq'. and other objects and services related to hydraulic elevators. Ask about this division of our company. If you are interested in the news from our company, please send us an email. We will send you our newsletter.